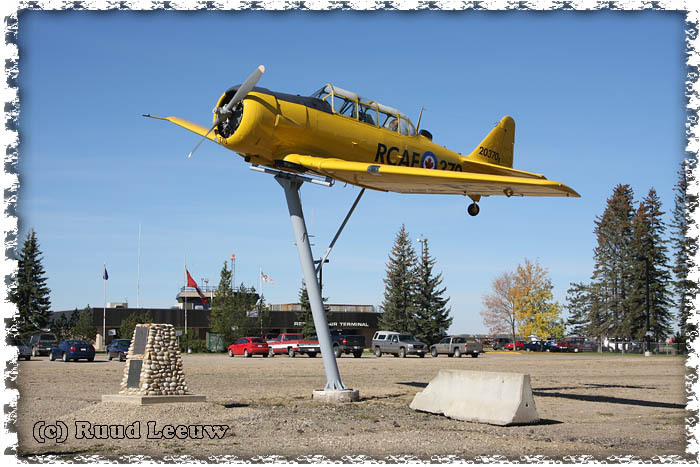 While on our way to visit friends in nearby Lacombe, Alberta I took the opportunity to quickly revisit Red Deer airport (which is actually closer to Penhold than Red Deer). As expected I found most of Air Spray's aircraft at home, with the firefighting season now over and the aircraft getting their 'tender loving care' in the hangars or awaiting their turn. 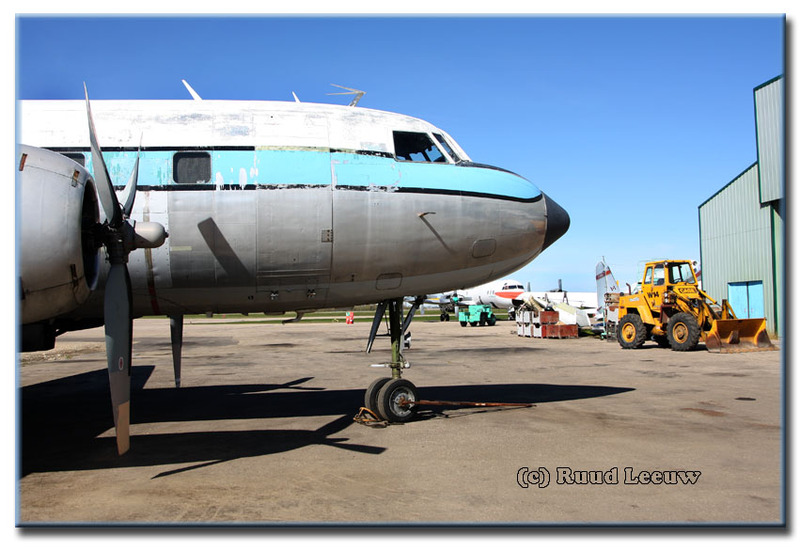 Red Deer is also a maintenance base for Buffalo Airways and there is always something going on there too. So I came away with a considerable amount of photos which I would like to share on this page . 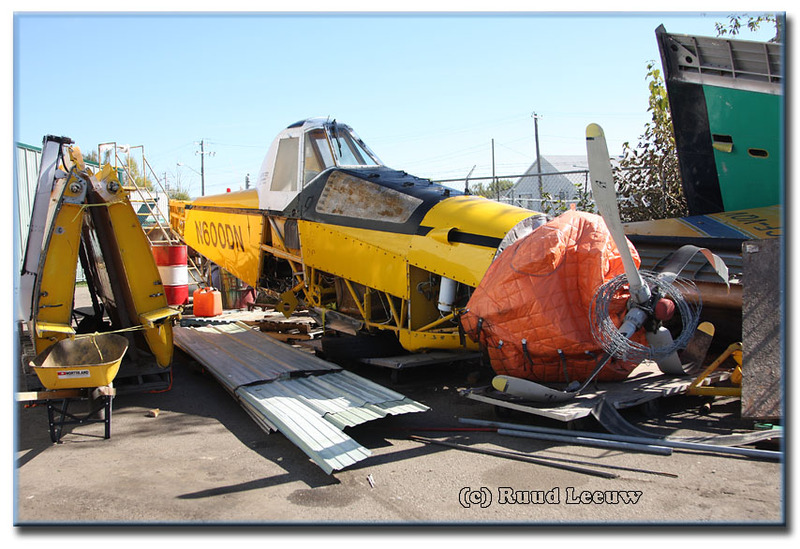 At the entrance I found RCAF Harvard 20370, which has recently been restored for high-visibility display on a pylon. It seems to work as on my 2006 visit I had completely missed it ! In the background one can see the modest airport terminal. 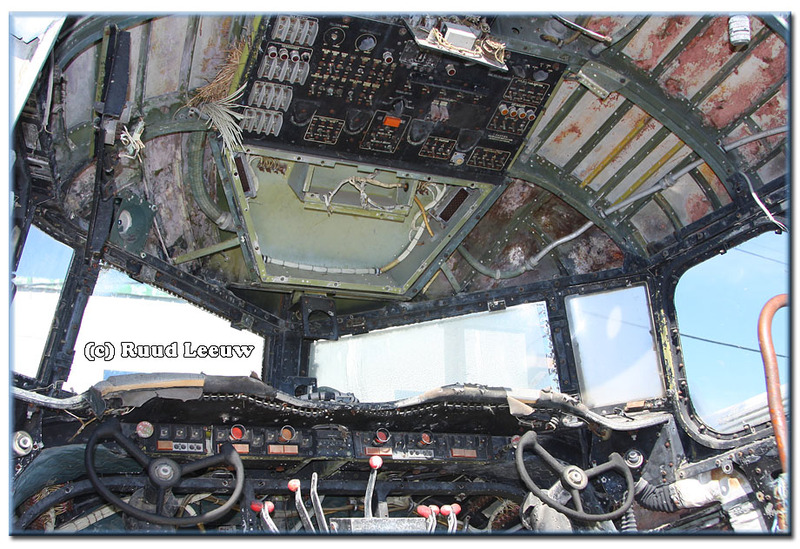 Another thing I missed during my 2006 visit: this North Star cockpit. 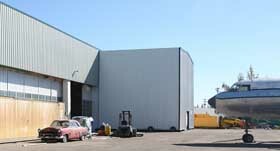 It & other parts survive opposite the Air Spray building. From the info provided by John Olfason (www.flickr.com) I have its identity as: RCAF Canadair C54GM serial 17522. 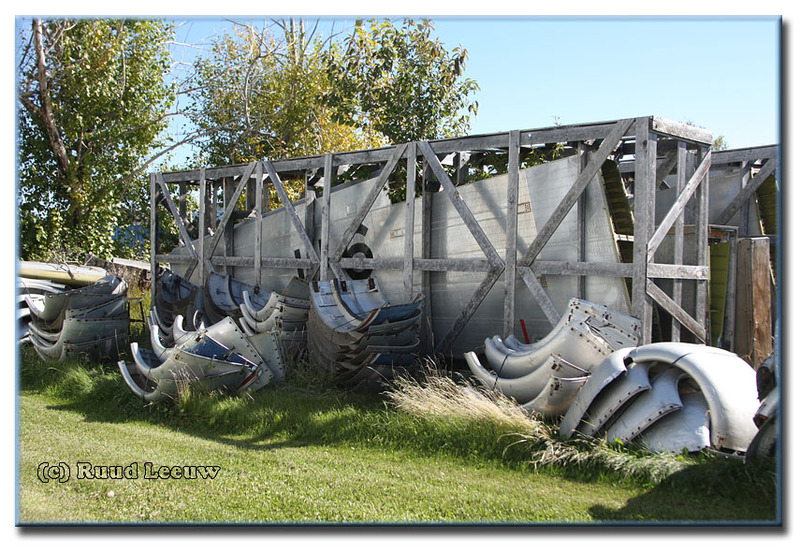 It was moved to the Reynolds-Alberta Museum in Wetaskiwin (near Edmonton). 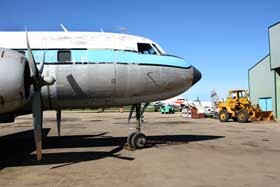 Nigel Hitchman wrote: "Here is my photo of the Northstar nose in the old Stan Reynolds collection yard on 06May2010 https://www.flickr.com/photos/88953448@N05/8118805802/in/set-72157631842603046"
And a 2016 update, also on Flickr, still in the Reynolds storage yard. 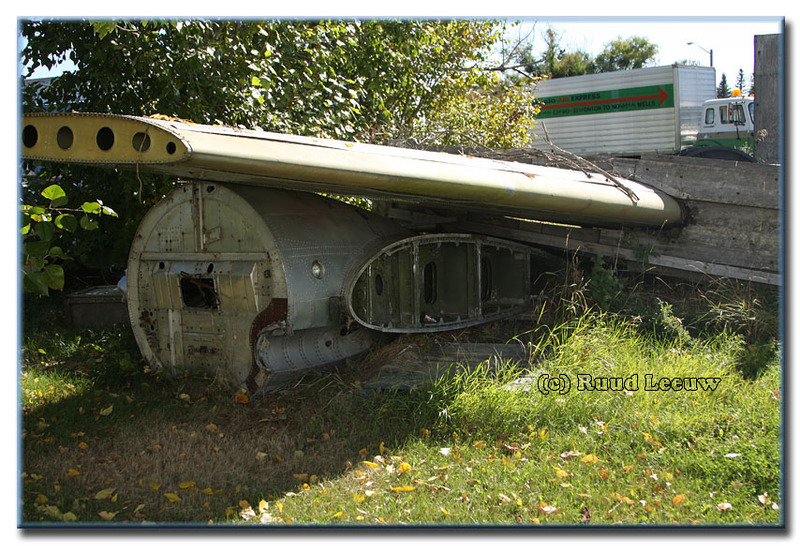 Melanie wrote me in nov.2014: "My father, Robert Ring, was a young crew member (loadmaster) on the RCAF NorthStar 17522, when it crashed in England many years ago. Remarkably, there were no casualties." For the long version you'll have to purchase the book THE CANADAIR NORTH STAR, by Larry Milberry (CANAV Books, 1982). An excellent read. 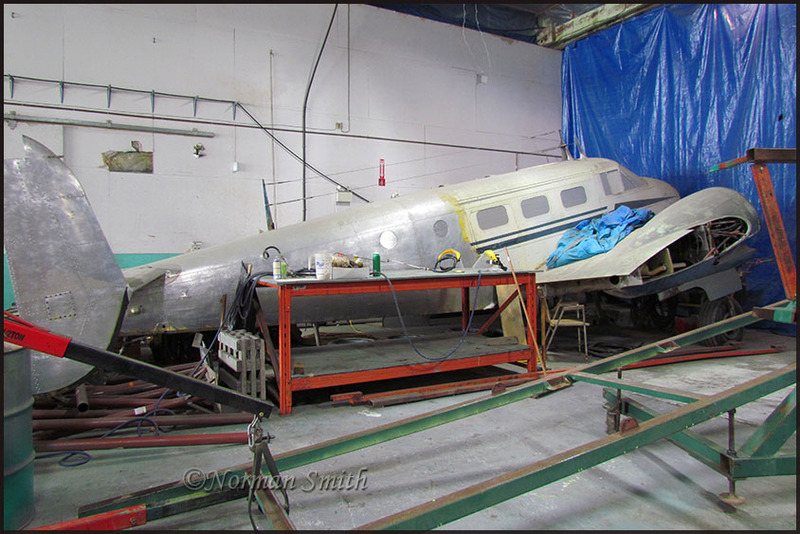 Below are more images of the various parts, maybe some day one can put them together into a whole plane..
Sean Keating made me aware of a YouTube video showing the one remaining surviving Canadair North Star (17517, c/n 112, www.projectnorthstar.ca) at the Canada Aviation Museum in Ottawa. 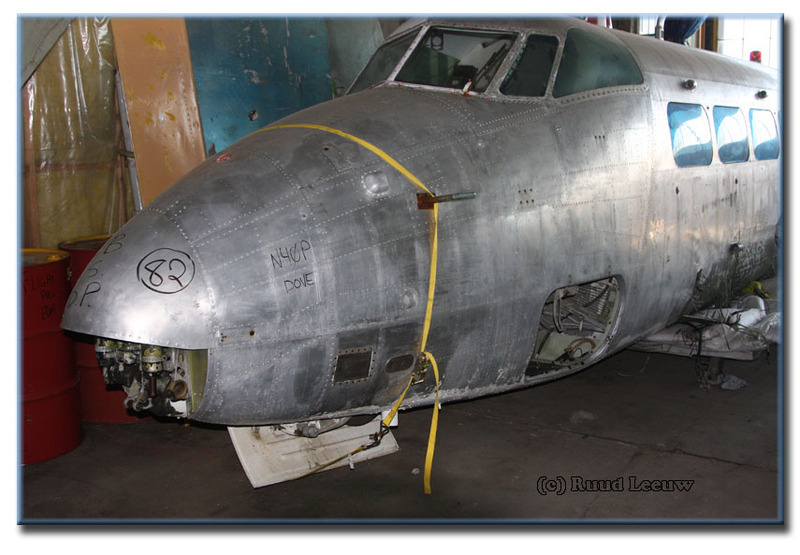 There seems to be one more North Star survivor, c/n 114, last reported during the 1990s languishing in state of storage and neglect at San Salvador's Ilopango airport in El Salvador (registered YS-27C, ex FAS 300). Would welcome updates on this aircraft, but fear for the worse! 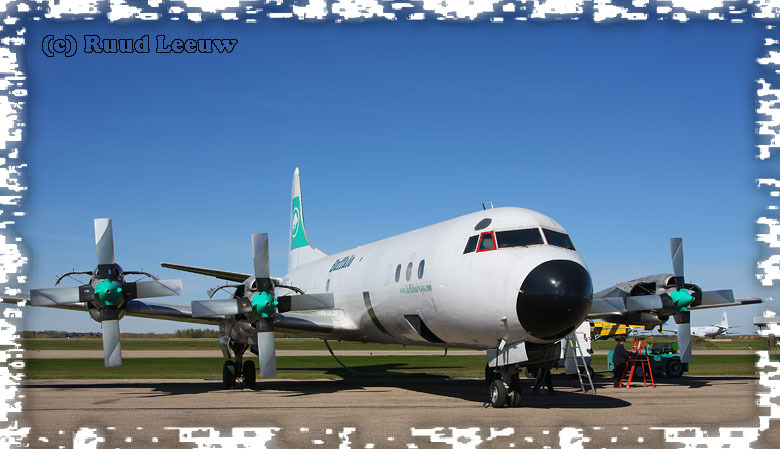 In spite of the 'Trans Fair'-titles, we are here at the Buffalo Airways maintenance facility. 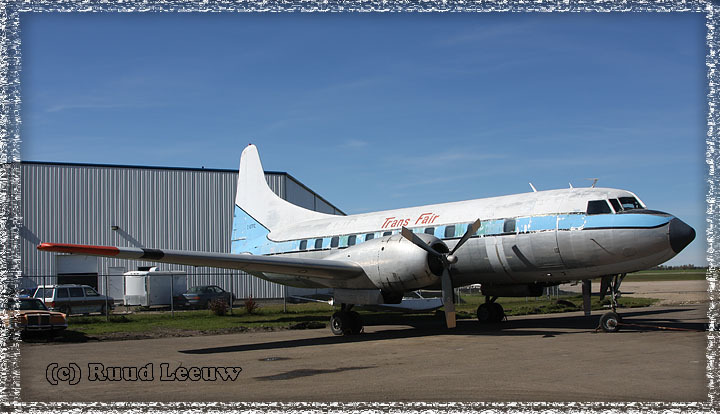 It was registered to Buffalo Airways Ltd on 09Dec05, but hasn't found use with the company yet. Probably never will? 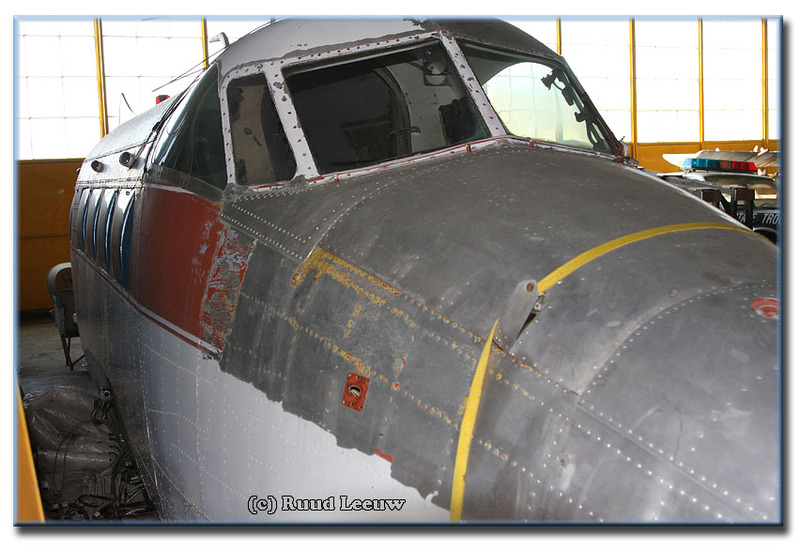 C-GTFC is former USAF T-29 51-5148, was in 1962 converted to VT-29, but its military career ended in 1975. 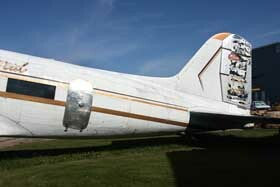 C/n 279 (a Convair CV240 variant) became N99376 for Providence Air Charter on 16Feb77, reregistered N152PA on 10Mar78. On 30Jun86 it was registered to Joda Partnership (Saunderstown,RI) and was bought by Transfair of Longue Pointe de Mingan,QUE in March 1989. 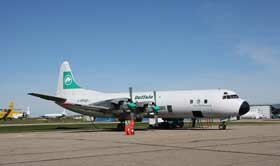 On 09Dec05 it was bought by Buffalo Airways and this freighter was finally ferried to Buffalo's facility at Red Deer at the end of Dec.2006. 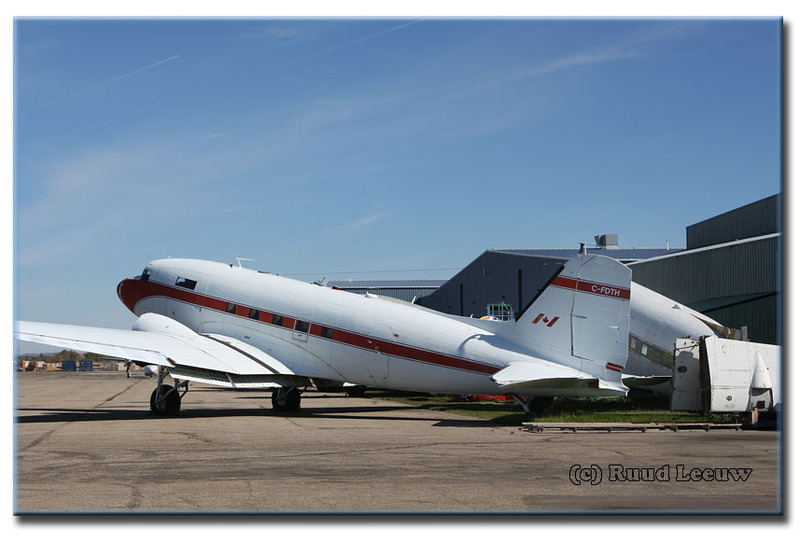 And on Mikey McBryan's Plane Savers video (Episode 77, 19Mar19) where he walks around Red Deer, T-29 C-GTFC is still there (8:49mins into the video), parked among several stored propliners. 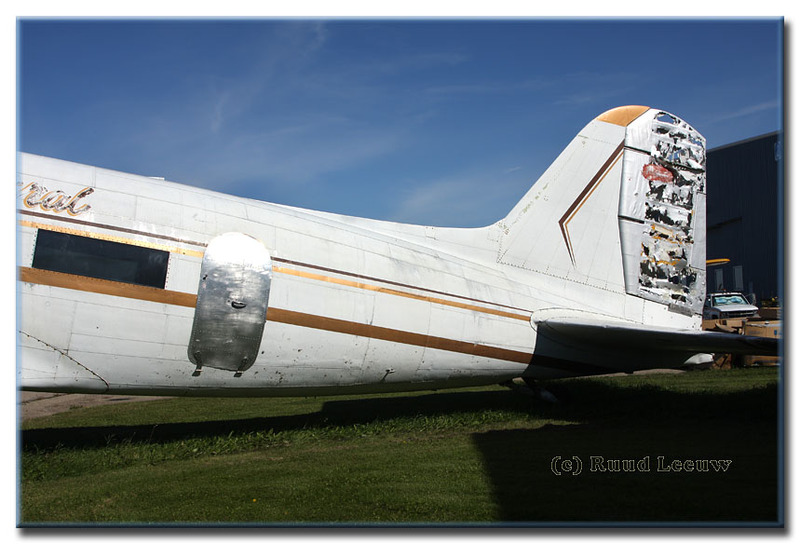 I had not seen this airframe on a previous visit (but it could have been hidden in the crowded hangar) and I was told it was traded for Lockheed Electra spares and engine(s) and was soon to be shipped to the UK... I would assume Air Atlantique / Classic Airlines of Coventry has something to do with it..? 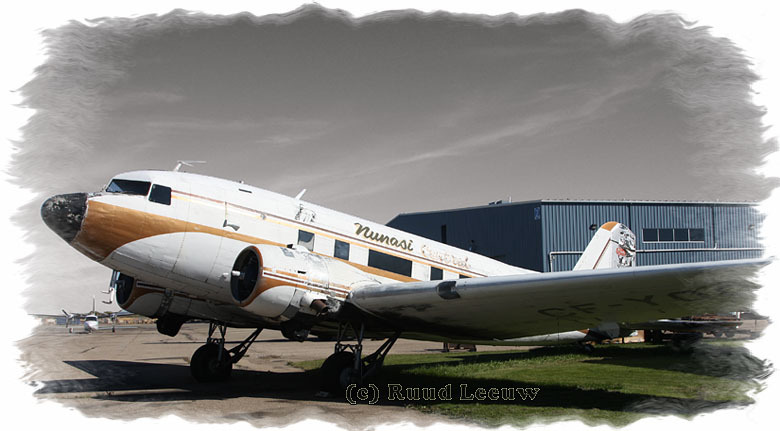 This photo shows this De Havilland DH.104 Dove 6BA at Edmonton-Villeneuve in 1983. 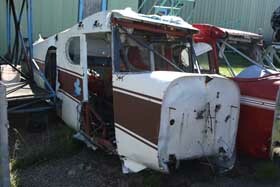 It was reportedly still there in April 2007 but rather in condition such as seen here. 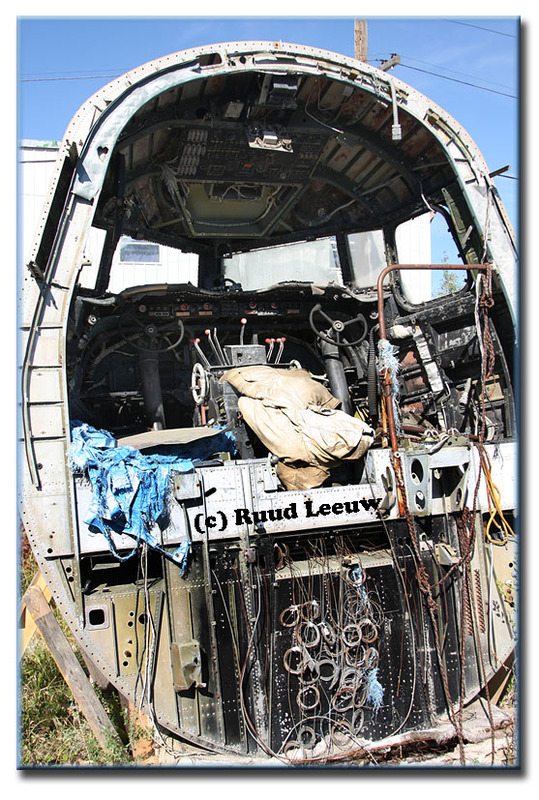 One can see registration N40P scribbled on there, on the forward fuselage. 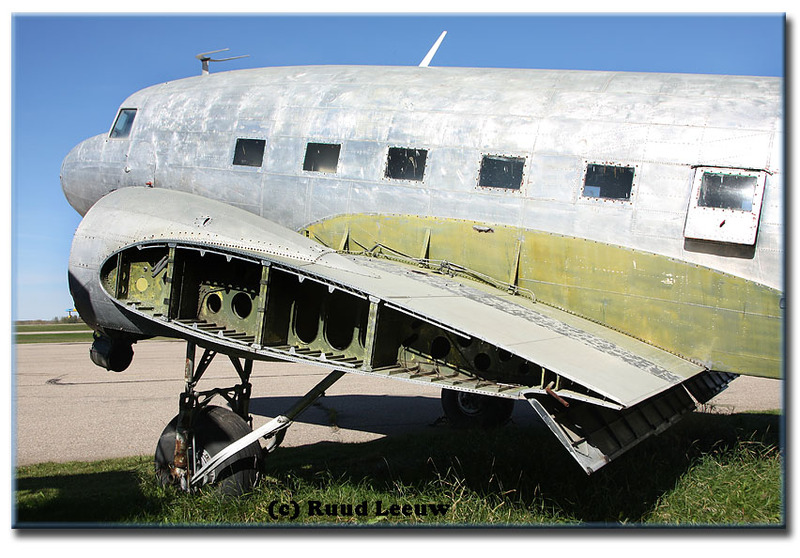 A photo while in its glory days can be found on EdCoatesCollection.com while its caption claims to be for sale by Global Aircraft for 15.000 dollars. 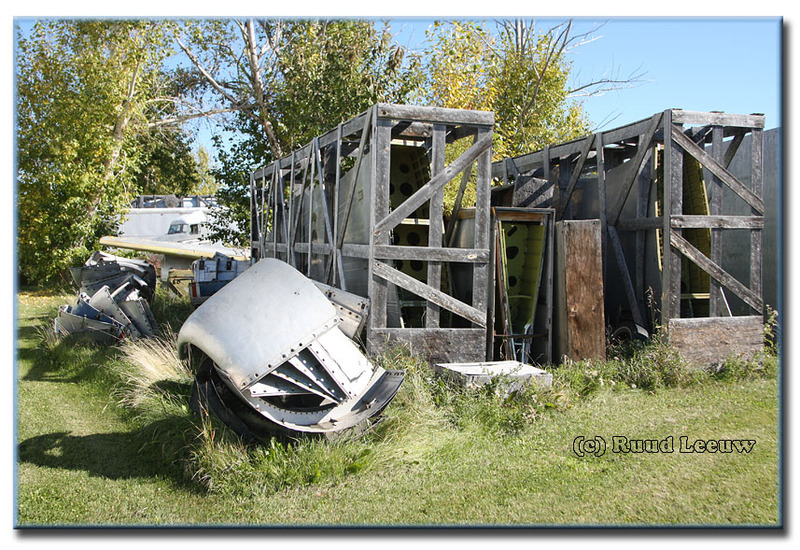 Quite possibly N40P did not go far, as far as the storage yard of the Reynoldd Museum at Wetaskiwin, see this image on Flickr. It was bought by Buffalo A/W for no special reason, from 'a scrap dealer'. 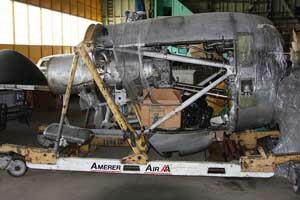 Note the engine stand has 'Amerer Air'- titles on them: that was the previous operator of Buffalo's Lockheed Electra's. 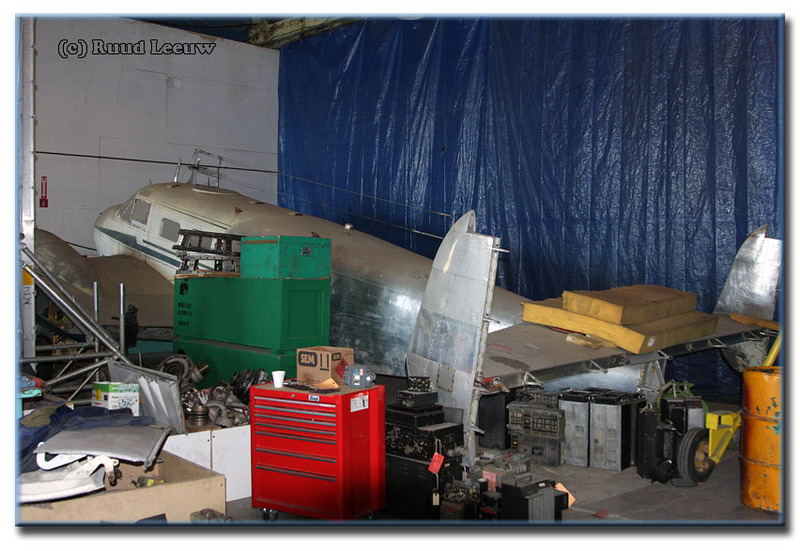 A Twin Beech sits in the corner of the hangar, more accessable than during my 2006 visit. The identity is under discussion and I have to admit I had forgotten about that, otherwise I would have investigated further. 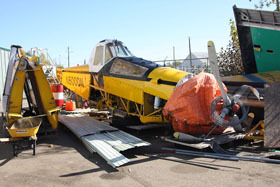 There are clues indicating it is manufacturer's construction number CA-226 and operated with the RCAF with serial 1503. 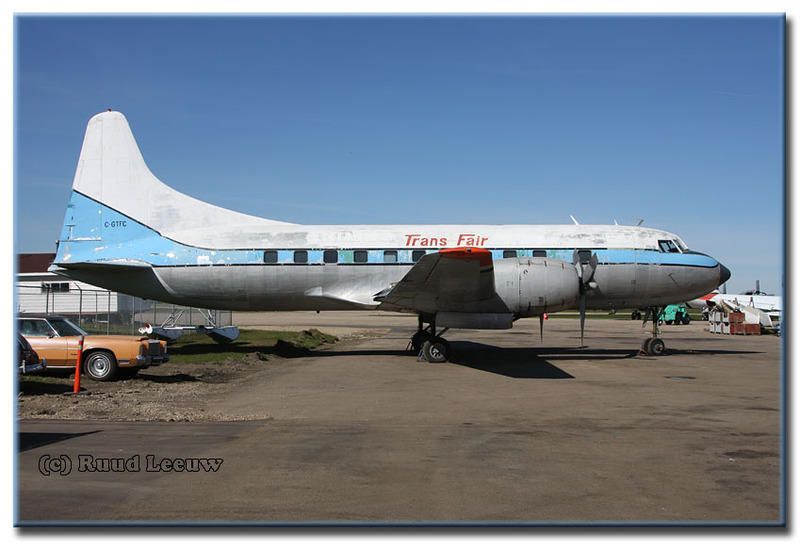 "I too doubt the CA-226 identity since the Buffalo Airways hangar photo paintscheme looks just like a May72 slide of CF-QMF... John Hume contacted Joe McBryan of Buffalo Airways in 2005, and he says that "..it is CF-QMF which is in his hangar... 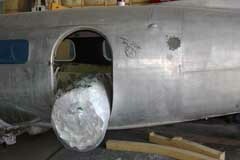 He also notes that he and David From were the only two to have flown it since RCAF release (about 1,300 hrs)." I don't know anything about the whereabouts of A-703 after 1970. 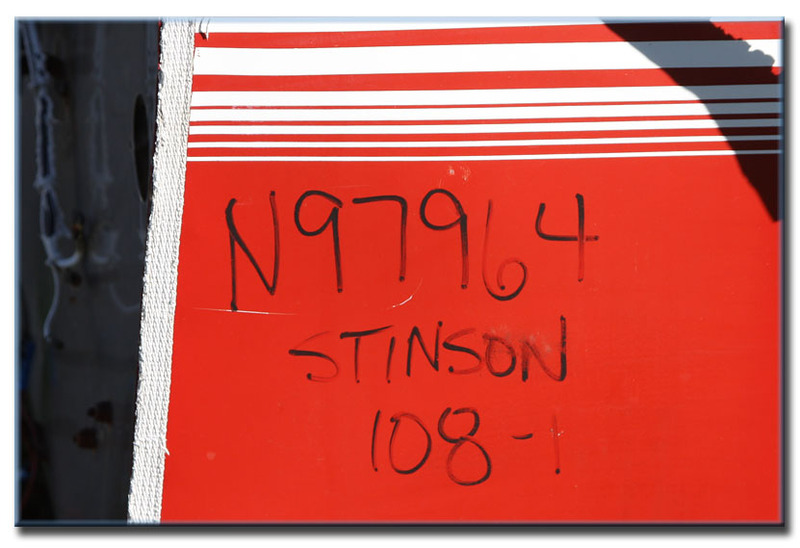 It is common to interchange the vertical & horizontal stabilizers and even the outer wings on Beech 18s, esspecially after accidents such as the one CF-QMF had..."
NTSB report (SEA02LA111) offers the date 26Jun02 and location: Winifred, Montana. "The pilot, who was conducting his second aerial application flight of the morning, was operating about five miles away from the airport. Although he knew he was getting low on fuel, he elected to "...make a few more passes to finish the load out." 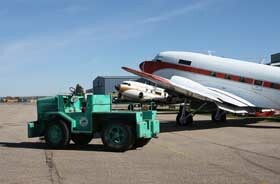 After completing the load, he returned directly to the airport, but while the aircraft was on a base leg about two miles out, the engine stopped producing power. 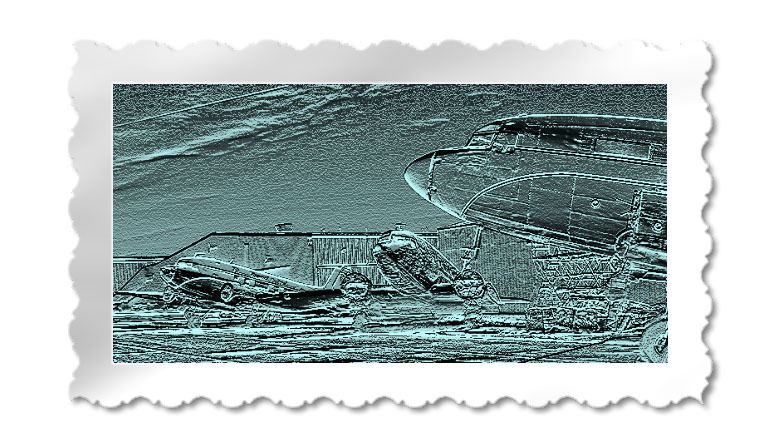 The pilot therefore elected to make a forced landing in a nearby field, but the aircraft clipped a shed during the landing sequence. 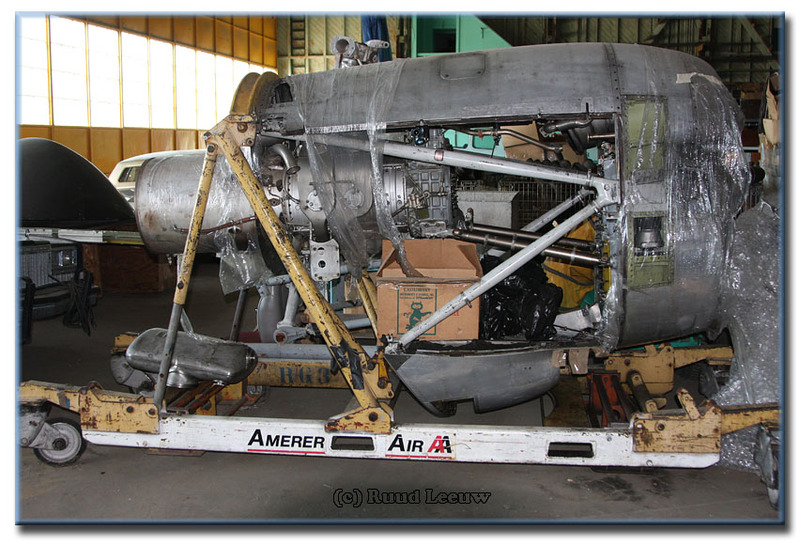 A post accident inspection of the aircraft determined that, except for a small residual amount of fuel, the fuel tanks had been run dry. 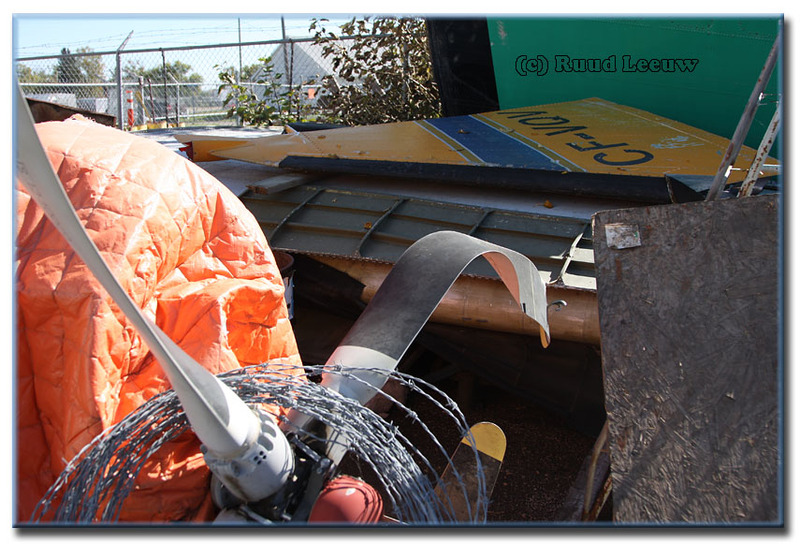 The pilot's improper inflight decision to continue his aerial application flight after he realized the aircraft might be low on fuel. 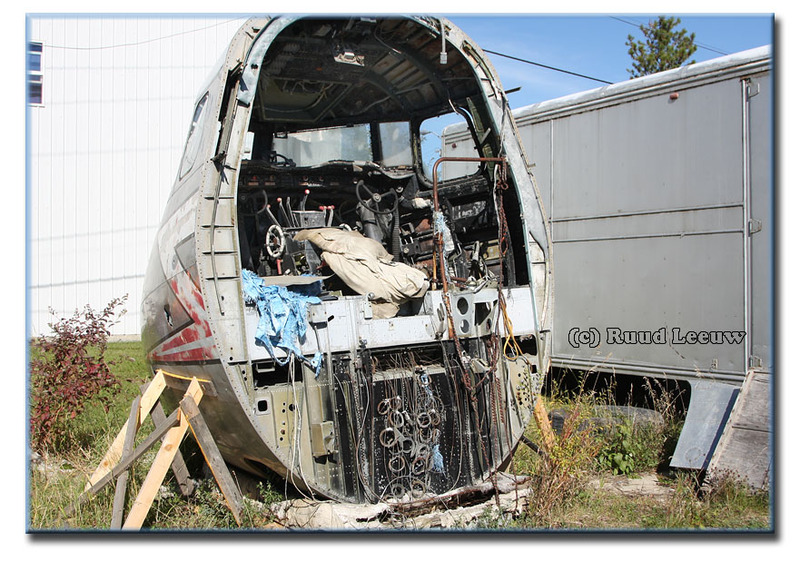 Factors include the pilot's failure to maintain clearance from a shed." I like that closing remark !! This seems to me a Rockwell variant..? 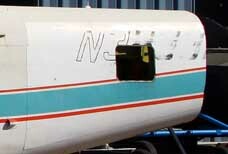 The tailnumber seems to be N3333, incomplete for one or 2 additional letters. But that N seems crudely painted on. 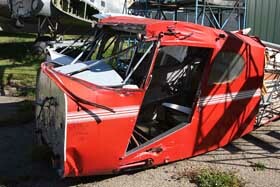 Could this be the damaged Rockwell 690 C-GGOO in the big fire of 16Oct2000 ? 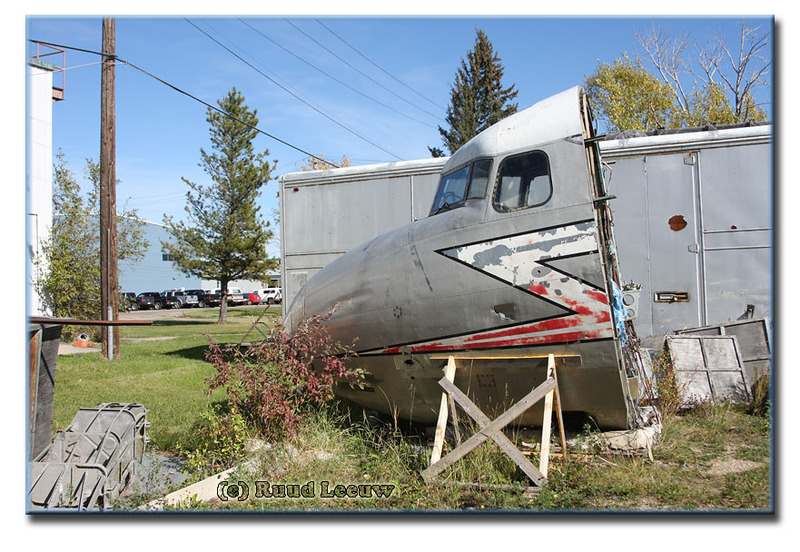 "I visited Red Deer in Sep. 2008, and the Commander aircraft you photographed and described as N3333 was still there. I videoed this aircraft, and went around the other side. 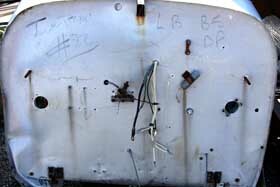 The registration was clearer there, and was plainly N3833P ! 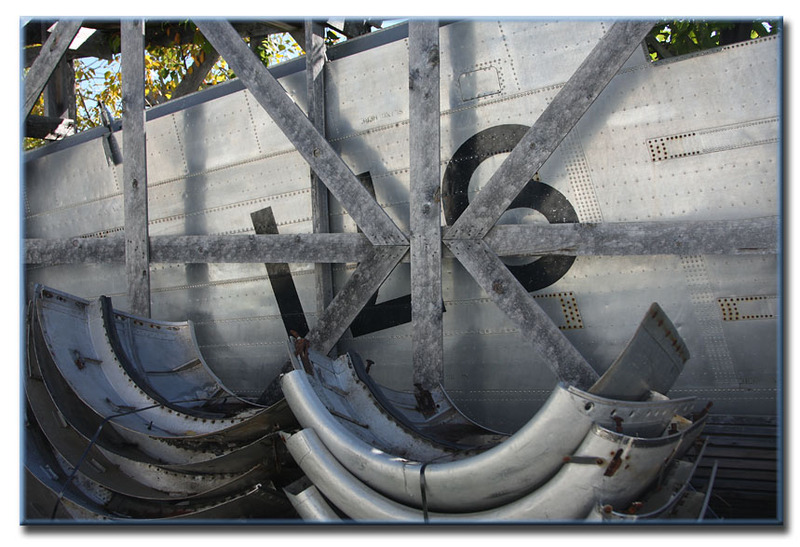 The P was chopped on the side you saw (rear fuselage removed). 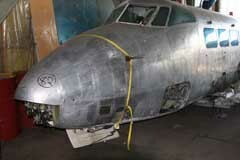 This aircraft is still shown on the US register, but has status 'Expired'. 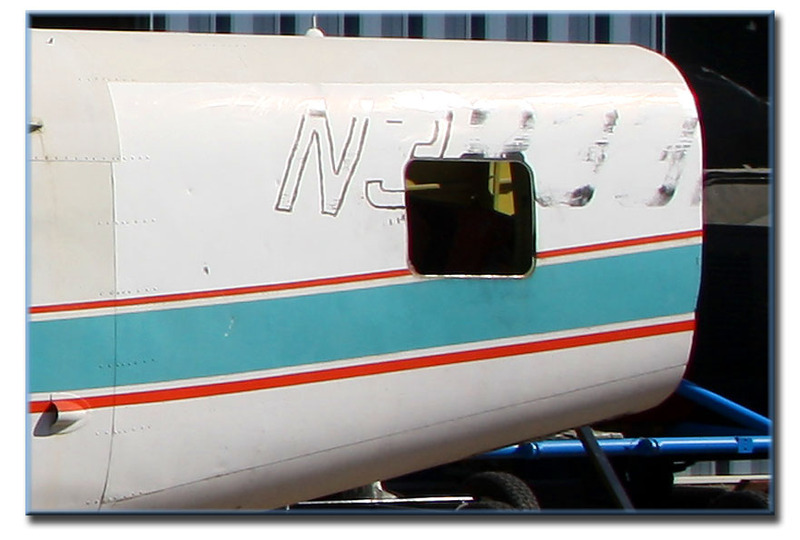 It's an Aero Commander 680W (msn 1761-7), and registered to Hawking Corporation, of Hilsboro, Oregon. 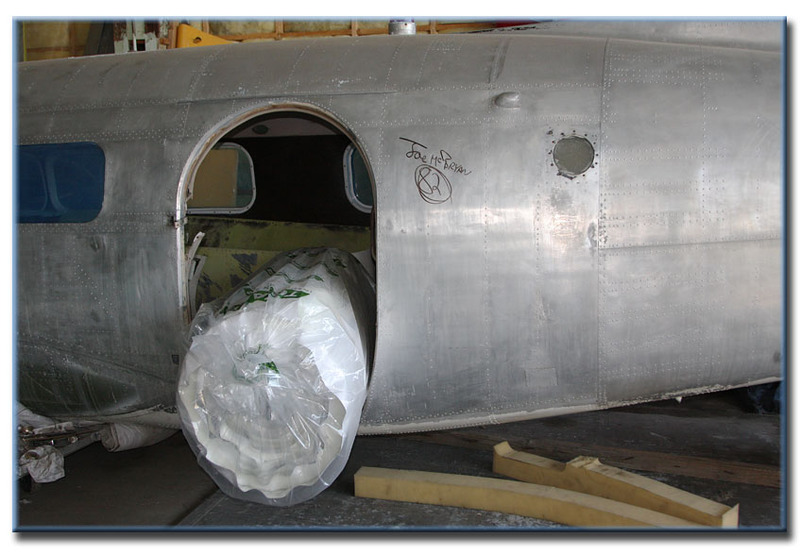 More on this aircraft. It was previously Canadian registered as C-GNYD, cancelled on 21Feb83, but not as sold to the USA, so perhaps temporarily WFU, or even never flown in the USA ! 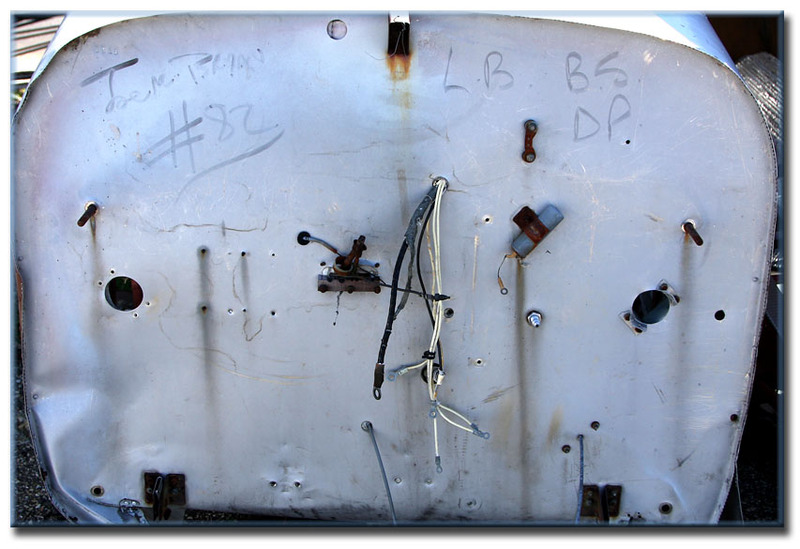 The C00472 5 number on the side of the aircraft in your photo COULD have been an auction lot number. 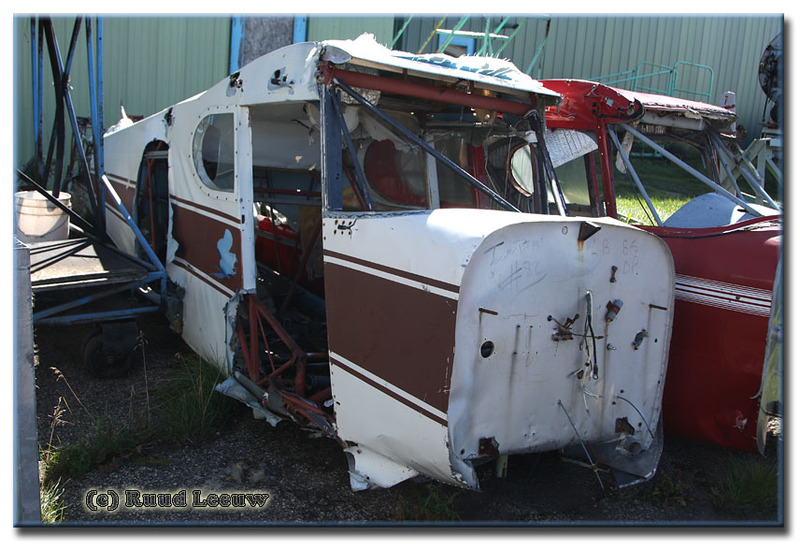 There seems to be a requirement for aircraft which are to be used for spares in the USA, to be US registered, and that could be a reason why the faded US registration has been partly crudely repainted." 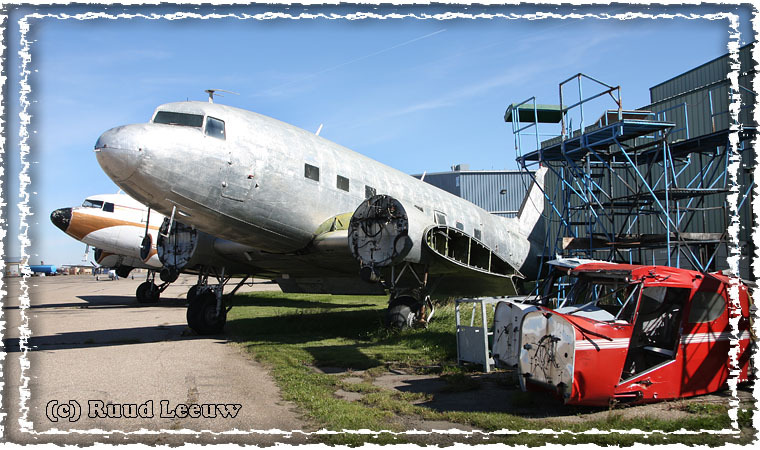 For a number of years Douglas DC-3's are stored here: CF-VQV, C-FYQG, C-FFAY and C-FDTH. Histories can be read on my 2006 report. 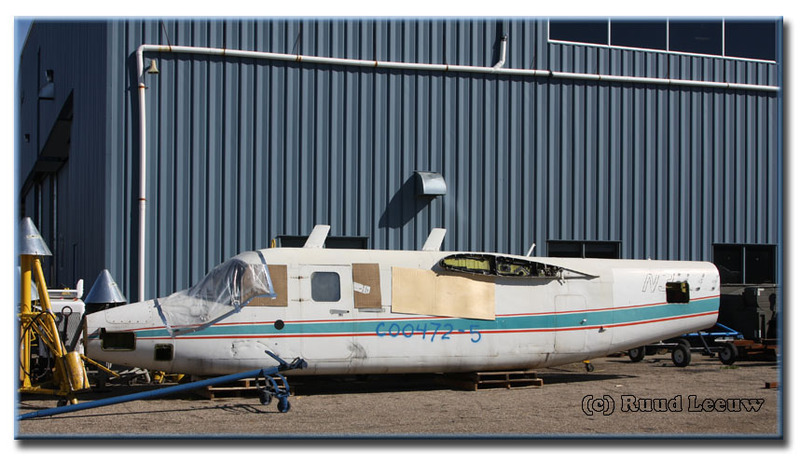 C-FYQG was registered 17Sep18 as N856RB for Basler Turbo Conversions, part of large group of Buffalo's airframes at Red Deer sold to Basler. 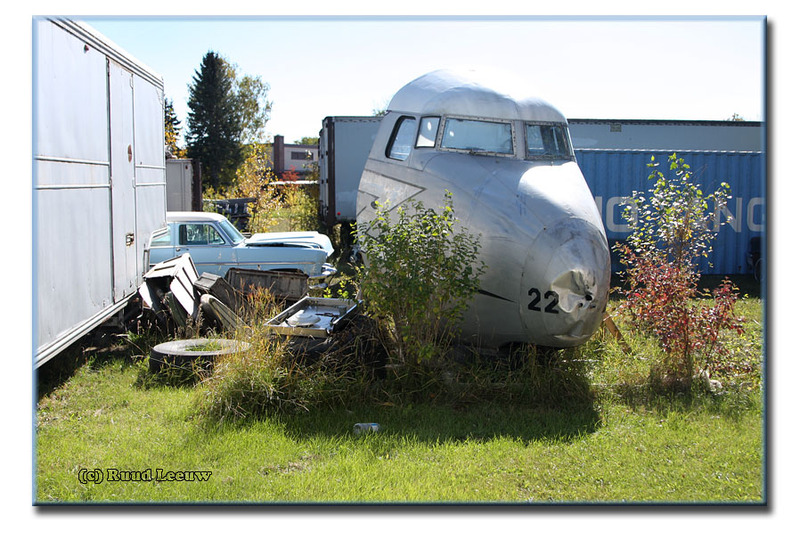 I did not see DC-3 C-FDTB (c/n 12597): did I miss it? 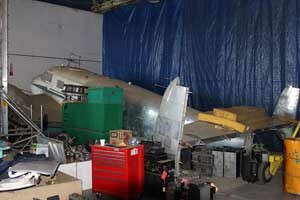 In 2006 it was stored in the back of the hangar. 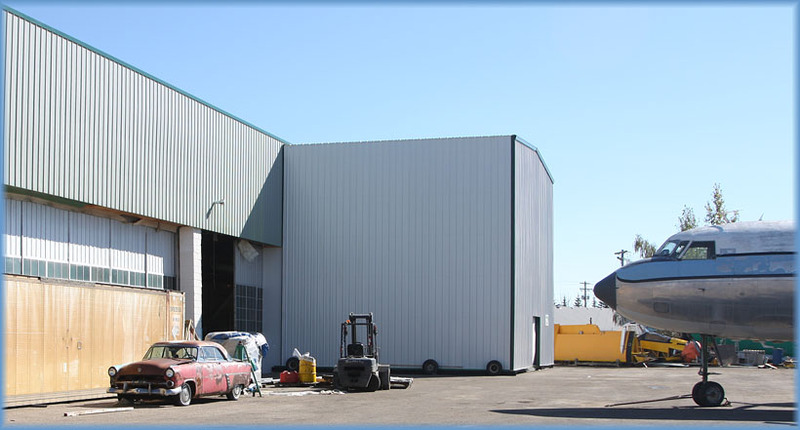 UPDATE: In 2018 'DTB was purchased by Basler Turbo Conversions and reg'd N856KB (18Sep18). 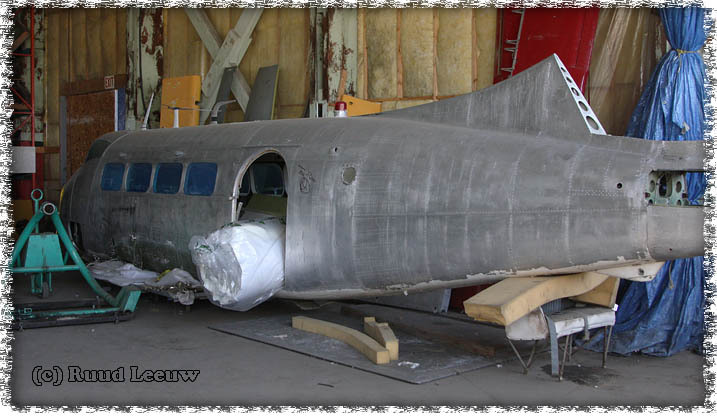 On the Plane Savers vlog (YouTube) in winter 2018 we can see how 'DTB is still used as a mirror image for restoring a D-Day vintage DC-3: PH-DTD. 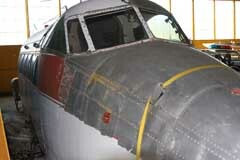 These planes are identical with the same modifications on the engines. C-FFAY, C-FJWP, C-FDTB, C-FYQG, C-GCXD and C-FDTH. 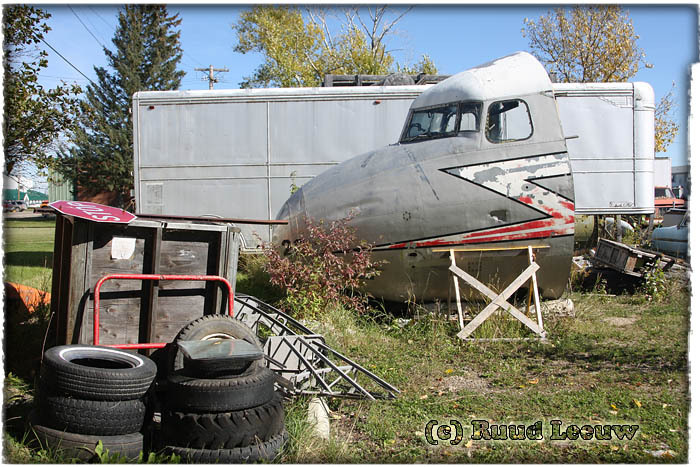 It seems Buffalo Joe is hanging on to CF-VQV, a DC-3 Sleeper Transport (DST); see Plane Savers E77 video where Joe and Mikey McBryan take the viewer on a grand tour of Red Deer. 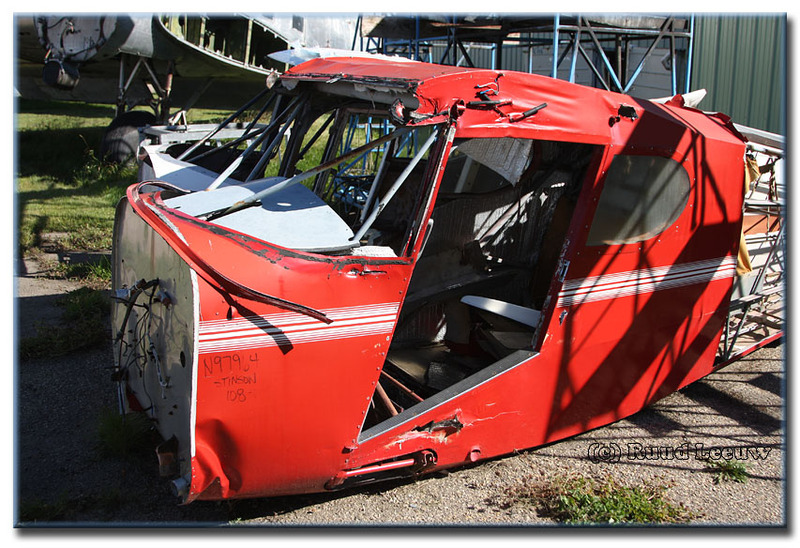 N97964 was deregistered 07Sep95 for reason of being destroyed. Actual 'destruction' may have been at much earlier date. 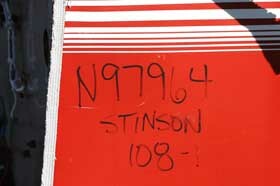 The aircraft is, or rather was, a Stinson model 108-1, with registration dating back to 06Aug1992. Last registration was to owner Harlan E. Schultz of Carver, Minnesota. 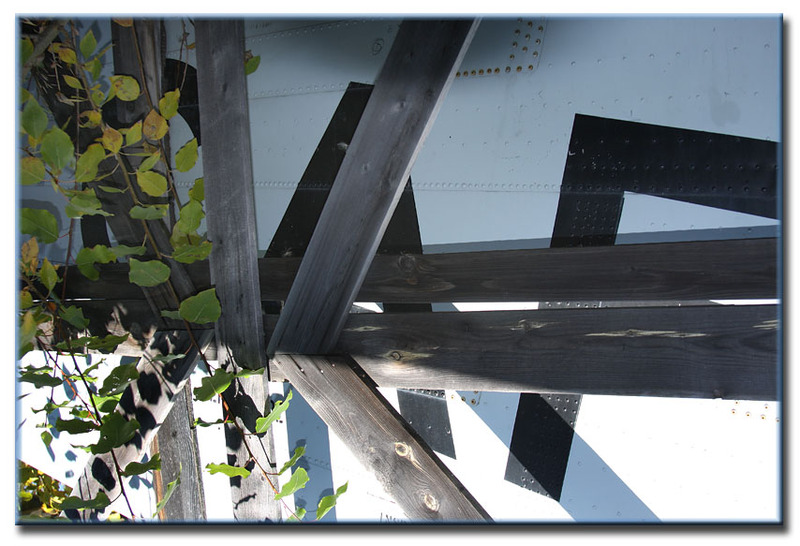 This website http://www.hangar9aeroworks.com/StinsonGallery/108gallery.html offers a series of photos of this type of aircraft. More information can be read on Wikipedia. 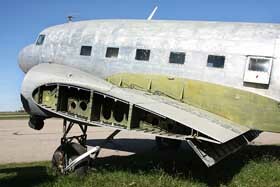 This one is harder to identify as I found no serial nor tailnumber. Information welcomed. Both are owned by Buffalo A/W and were bought at the same scrap dealer as the DH Dove. 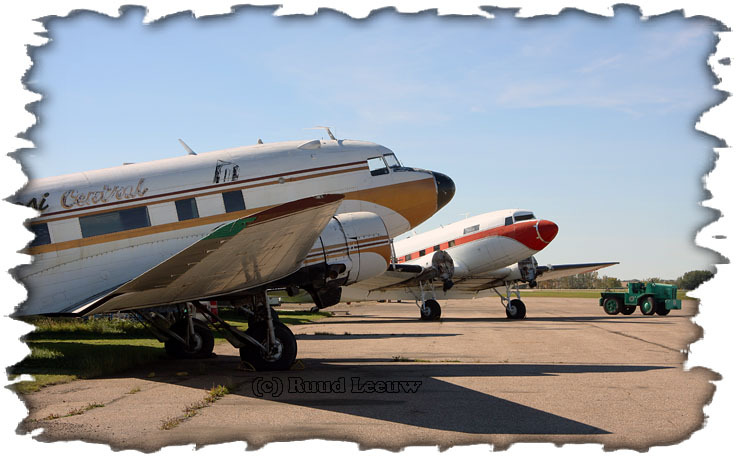 The Lockheed Electra's seem to represent the dawn of a new era for Buffalo Airways: Turbine power! 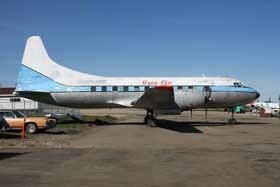 C/n 1039 was first flown on 13Feb59, built as an L.188A and it was registered VH-RMA for Ansett of Australia (delivered 27Feb59). At some point it was purchased by Renown Aviation and registered N356Q. It was delivered to Amerer Air on 04dec96 and its homebase became Vienna,Austria, registered as OE-ILB. 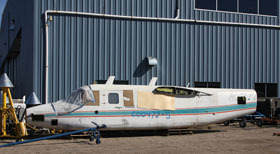 First reported for sale in May 2002, but it continued operations. While I was visiting Yellowknife,NWT in June 2006 I learned the man I had hoped to meet, Joe McBryan, was 'shopping' in Vienna! OE-ILB was ferried to its new owner during that year and was reported leaving Coventry,UK on 28Oct06. 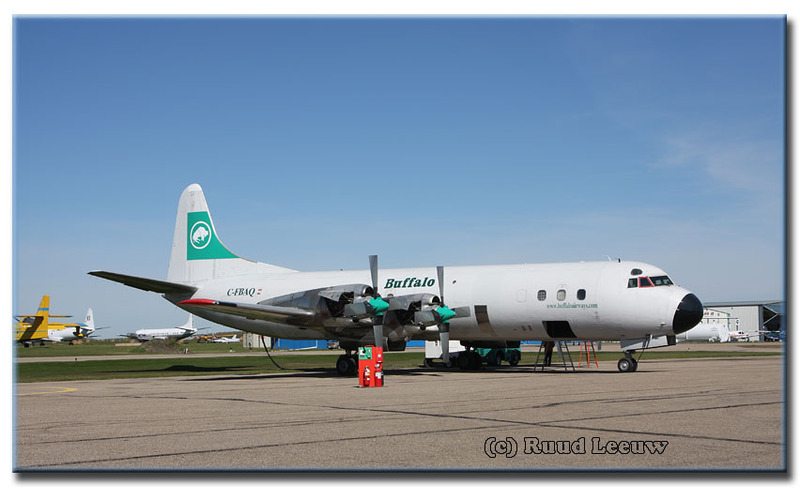 It was registered as C-FBAQ for Buffalo Airways on 03Jul07.